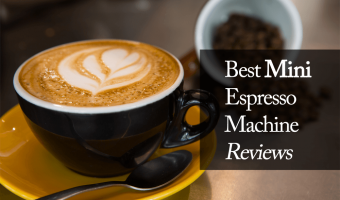 Bringing You The Best Expresso Machine Reviews And Advice. A good cup of coffee is an essential part to any caffeine addict’s day (you might even still be an addict as a decaf drinker). There comes a day when you no longer want to deal with instant coffee or long queues at a coffee shop. 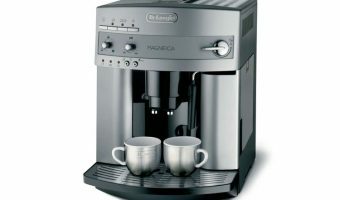 The answer is a good espresso machine for your home or office. An espresso machine will give you the ability to create great tasting coffee. It will also open up even more opportunities to enjoy your favorite drink. You might even become quite the barista yourself. So if you are thinking about how to choose an espresso machine and get some insight into what is available, you have come to the right place. 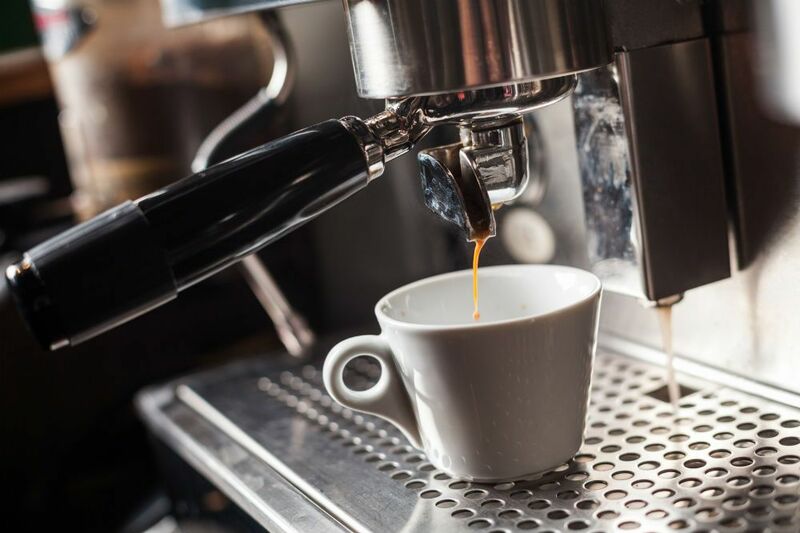 We have some information for you about some of the things you need to look for when you consider a new espresso machine. We have taken a few machines and put them through their paces and will give you our verdict on these options. 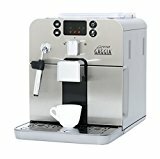 Hopefully you will soon have the perfect machine and impress your friends and family with the great coffee suddenly available at your home café. Lets get down to the nitty gritty. 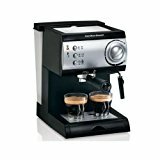 How do you choose your first espresso machine and what do you need to look for? When it comes to choosing an espresso machine there are a few things to keep in mind. First, what are your needs and what do you want from the machine. There is no need to buy a machine and see that it does not meet your expectations. Do you want convenience or do you want the freedom to experiment with different blends and ways of pulling a shot of espresso? Once you have decided, you can narrow it down to automatic or manual. Automatic machines work with capsules. Others will have the option of giving you a shot at the press of the button. The other side is more manual traditional machines that require skill but give great results. The level of automation will vary with some machines, and some might be a combination of both. Second, think about size and design. You might really like the big shiny number in the shop but will it fit with your needs and your kitchen size? 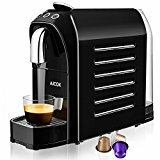 Some high end espresso machines can be quite bulky and require quite some space, on the other hand there are some really nice compact coffee machines available. Third, think about budget. Sadly we often have to get down to the numbers when it comes to our coffee addiction. There are some nice compact machines available if you are on a tight budget. But perhaps you want to save up a little and buy one of the high end bad boys. These guys can give you great pressure and restaurant quality espresso. So keep in mind how far you are willing to push your budget to get that perfect shot of espresso. There are also a few other things you can keep in mind. Read the next part to see what you should look for in an espresso machine. When you take out your hard earned dollars to buy your first espresso machine, there are a few things you can keep in mind to ensure you get good value. One of the first things you can consider is durability. When you buy an expensive high end machine you will expect it to perform without issues all day long for months on end. The thing that really tests a machine is the pressure it needs to handle. Some cheaper machines (or cheaply made machines) will snap under the pressure of heavy use. If you consider a machine for home use it won’t need to work as hard (depending on your caffeine addiction). A light use espresso machine won’t need to be as fit as a commercial machine. The next thing to keep in mind is capacity. Especially when it comes to grinding beans you want to know what the machine can do. Take a look if it has a built in grinder and how much it can handle. Some machines will require a separate grinder. With some others you will need to buy pre-ground coffee. This does have an influence on freshness and taste. Grinding your own beans is the best choice. A higher capacity grinder will be essential if you need to serve coffee to many people at the same time. If you use it just for yourself or just once or twice a day, the capacity won’t be a major issue. You also need to think about the water. It is a key part of every coffee machine and each will be a little different. Some espresso machines will have a reservoir that you will need to refill every now and then. Others can be plumbed into your kitchen directly. Why does this matter? Well, consider how you will use it and if you will like to move it around. If you need movement a machine with a reservoir will be more convenient. If you like cappuccinos or lattes you will have to think about a steaming wand or spigot. This attachment allows you to froth milk in various ways. Usually an espresso machine will come with this built in, but some models might require that you buy a separate milk frother. A separate frother can actually be quite handy and there are nice frothers available. With a frother you will be able to make a variety of coffees. You could even get into coffee art. Unfortunately espresso machines have not become self-cleaning yet. So when you look at a machine decide how easy it will be to clean before you buy it. If you aren’t in the mood to deep cleanse a machine every week make sure that you get one where you can easily rinse the components. A clean machine is a happy machine. So be sure that the one you choose won’t be a major hassle to clean. Because a dirty machine will quickly produce horrible coffee and that is not why you spent all this money. Size and storage will also be important factors to keep in mind. If you have a small kitchen with limited counter space a large commercial machine will be more of a headache than a joy. There are nice compact machines at both ends of the budget scale. Think about what will work for your space. Will you need to be able to put it away or will the machine live on your counter permanently. Finally, looks do matter, and we do judge a machine by its design. You will need to decide what type of aesthetics you need your machine to have. If you are considering it for your office you might need it to look really high-end. If you will only use it at home and it won’t be on display, you could look at lower range models and save some money for accessories. Your own sense of style will determine what works for you here. Think about if you will be able to live with a machine that doesn’t look great. 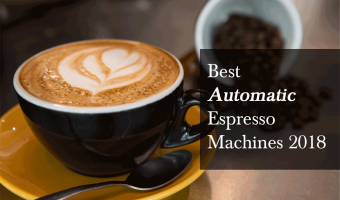 If you keep these tips in mind you should be able to make an informed choice when you need to choose a machine, but to help you a little we also have a few examples of machines to show you. Take a look at these five options we have for you, so you can decide which machine will suit your kitchen best. Perhaps you need something to just do the job or you need something stylish to impress clients or guests. We have a selection that covers your options in different price classes and with a few different features. 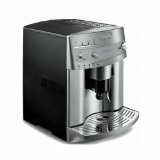 As an entry level basic espresso machine the Mr Coffee espresso system offers good value and a really low price. It is not overly complicated and comes with a fixed water tank (or reservoir) and a fast brewing time. It is a compact little machine and quiet because it does not have a pump system. It has a spigot so you can froth milk for latte’s and cappuccinos. Unfortunately it does not have a pitcher included so you will have to spend some money to buy one separately. It also does not have an espresso tamper included and you will need it to compact the grounds evenly. If the grounds are not evenly compacted the quality of the espresso shot will leave you a little disappointed. 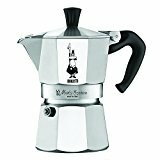 All things considered Mr Coffee offers an excellent little entry level machine with this 4 cup model. It is cheap (although you will have to spend some extra money for a pitcher and tamper). It won’t cause issues with noise. 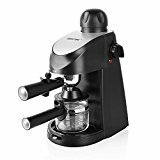 It is nice and compact and won’t take up too much counter space.It is in its element when you want to make great lattes. This Mr Coffee also has all the elements you need to get started as a barista. You will also be able to experiment a little. Luckily it is cheap enough so that you won’t have to charge your friends for drinking coffee at your place. But you might consider selling your great coffee anyway. This silver number by Gaggia Brera will help you produce great tasting espresso and also has a nice temperature. It is easy to use and you will be able to create a range of coffees without a trained barista. The superautomatic functionality is designed to save you time and effort and works well. It is also nice and easy to clean which adds to the convenience factor. The flavor of the coffee will be in the cup and not in the air as it is with drip coffee makers. This means better tasting coffee every morning! It has a steam wand and a bean hopper and is relatively quiet. This Gaggia Brera machine has a small water container which might be annoying for the price. It also does not froth the milk automatically but it is easy to do with the steam wand. This means it is not completely automatic but you will be able to experiment a little. The quality of the espresso you can produce with this machine should make up for most of the negatives. This silver number is a great option between manual and fully automatic. If you want great tasting coffee, but you don’t want the effort of a traditional espresso machine, this Nespresso Inissia is a great choice. As an entry level automatic machine it is a real winner. This little machine has quite a nice set of features.It also comes with a separate Aerocinnomilk frother. You can make cappuccinos and lattes or anything else that needs the addition of some nice fluffy steamed milk. It is nice to have a these two teammates ready to help with the preparation of a cappuccino. 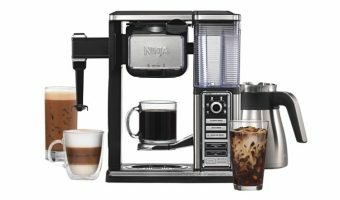 The Nespresso Inissa is effortless to use with the Nespresso capsules. It is also relatively small and compact. It won’t take up a huge amount of counter space and it is very reasonably priced. It has two programmable buttons for espresso and lungo. So you won’t have to struggle with measuring anything. It is energy efficient and will keep your electrical bill looking good. The only negative would be the difference in taste between capsule coffee and freshly ground beans that become a fresh espresso. But don’t worry, there are several types of capsules to choose from. You can pick and choose between different flavors. 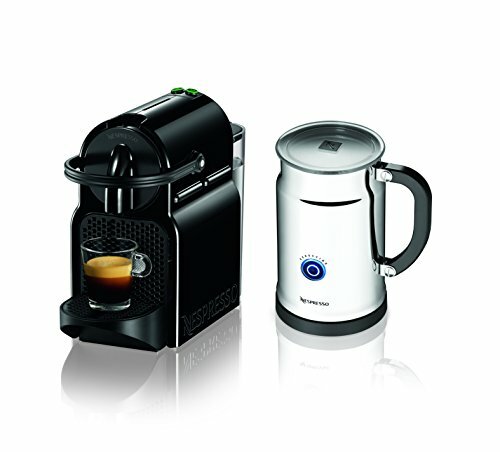 The Nespresso Inissia and Aeroccino are a stylish machine pair. They should look good in any kitchen without taking up more than a corner of counter space. When it comes to capsule machines there aren’t too many contenders who can beat this team. This cordless electric milk frother from Gourmia is not an espresso machine in the traditional sense. 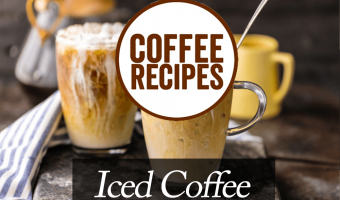 But we have decided to include it here to give you some additional ideas when it comes to home coffee making. This is a milk frother and heater, but it is a great addition if you already have a coffee machine. Whether it is a drip coffee maker, espresso machine or standalone Nespresso machine, this milk frother will be a great help. It is compact and easy to use with solid construction. It is also a nice and compact appliance that won’t clutter up your kitchen. The Gourmia frother comes with three easy push button options. You can easily decide what to use depending on what you are preparing. It works great for upgrading your normal coffee to cappuccinos and lattes or to make a really tasty rich hot chocolate. You can also use it to reheat beverages if you want. It is easy to use and to clean and you will be able to extend your repertoire. It also comes with a little recipe book so you can extend your repertoire and impress your guests with great tasting coffees. 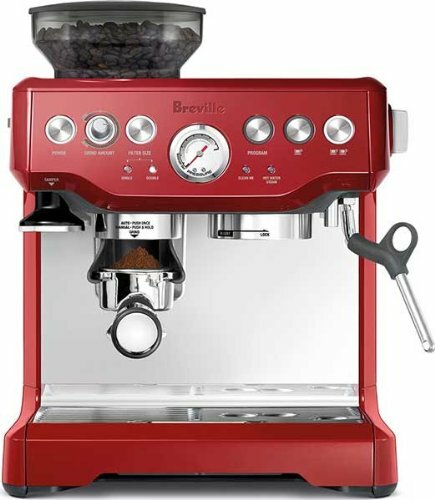 This stylish Breville machine is one of the top of the range options we have considered. 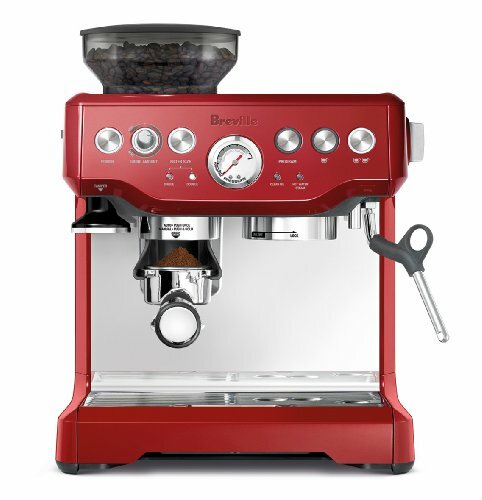 Not only does it look great with an eye catching cranberry red design and analog dials, it also makes great espresso. It comes with a powerful fifteen bar Italian pump. There will be some good pressure when you pull that espresso shot. It has a built in grinder and bean hopper so there is no need to buy additional accessories. It is on the higher end of the price scale and has quite a few things already included. The Breville is a good two in one machine. It will offer you the convenience of home espresso without too much additional work, like separately grinding the beans. But it will also give you the opportunity for some experimentation as you would have with high end espresso machines. The flavor and quality of freshly ground coffee is a huge bonus. You will be hard-pressed to go back to pre-ground coffee or capsules. It also has a good steaming wand with a ball joint for extra durability. It steams milk evenly and quickly. If you treat this Breville machine well, clean it and maintain it, it will happily give you your daily espresso fix without complaints. Not only that, it will look great and impress your guests with its good looks and tasty coffee. The main thing to keep in mind when you embark on your journey as a coffee connoisseur is that the journey should give you the same enjoyment as a great tasting coffee. A machine can create the opportunity for many great coffees. Whether you need a kick in the morning before work, or need to give a client a coffee, an espresso machine will make the experience easier and more fun. Hopefully our tips and advice will make the road to great coffee in your home as smooth as a highway drive.